You visit your doctor regularly, and you try to eat healthy foods, but do you spend as much time tending to your general dental health? If not, you may be missing an important opportunity to live a longer, healthier life. 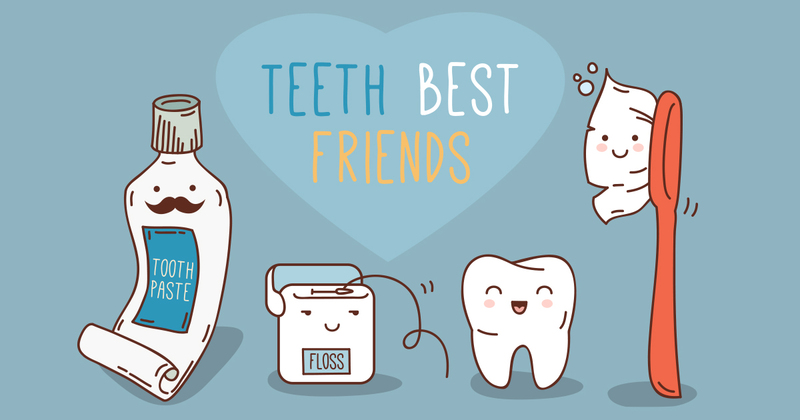 Taking care of your teeth and gums is about much more than having a great smile. Researchers have found that good oral health is an essential ingredient in maintaining good overall health. Here are seven examples of how having a healthy mouth can keep your body and even your mind at its best. Decaying teeth, missing teeth, and foul breath can leave you reluctant to smile. A healthy mouth free of gum disease and cavities improves your self-confidence and your quality of life. In turn, a happy outlook boosts your immune system, which can keep you out of the doctor’s office. Chronic inflammation associated with gum disease has been implicated as a factor in the development of cardiovascular disease, which leads to heart attacks and strokes. Fortunately, treating gum disease can lower the risk. If heart problems run in your family, find dentist assistance early to optimize your heart health as you age. According to a report released by the Journal of Neurology, Neurosurgery & Psychiatry, adults with early stage gum disease performed consistently worse on memory and cognitive skill tests than their peers with healthier mouths. Dental disease is associated with the development of infection in other parts of the body such as heart valves. Researchers have also found a link between gum disease and the painful autoimmune condition known as rheumatoid arthritis. According to experts, the mechanism of connective tissue destruction in the two illnesses is similar. Painful teeth and gums make chewing and biting difficult; this can lead to an avoidance of certain foods or groups of foods including protein-rich meats and fresh vegetables and fruits. A healthy mouth encourages a healthier diet, which leads to better overall health. People with diabetes are less capable of fighting off infections, including gum infections, so gum disease is very common in diabetics. Studies have shown that the presence of gum disease makes it more difficult for diabetics to control their blood sugar effectively. Better glucose control means fewer life-threatening complications, so maintaining oral health is critical. Hormonal changes during pregnancy can predispose women to gum disease. Some studies have discovered that the babies of expectant mothers with gum disease are more likely to experience preterm deliveries and low birth weights. Good oral care during pregnancy can result in a healthier mom and baby. Maintaining good general dental care may not guarantee that you’ll never suffer a health problem, but if you find dentist selections at an affordable dental office Virginia trusts, you can take the first steps towards a healthier mouth and body. Qualified Virginia dentistry professionals are ready to help you improve your life, so don’t miss the opportunity. Call a dental office Virginia patients trust today.